G1: REVERSE THREAD explores the music of Mali, Senegal and other regions of the African continent with a “jazzy” treatment. What lead you to this project? Regina Carter: I’ve been thinking about doing a project like this for many, many years but when I was signed to a couple of major labels at the time they always thought that World music was not so popular here ’cause there weren’t radio stations to support it. 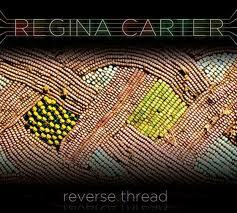 So, after receiving the MacArthur Grant I used part of the money to put towards this recording of REVERSE THREAD; not only just the recording, but also recording it in a specific way. I wanted to record like the Jazz musicians did back in the day, in the ’60’s, where everyone was in the same room. I had a lot more freedom since I took care of the record myself, so to speak, in the beginning. It started off… it was going to be a project of Black composers from around the world, then it was going to be… it took on many different changes. It was a journey! And then just in talking with the pianist Randy Weston and getting some ideas from playing with him and some of the music he had recorded, and also Willard Jenkins and a few other people. When I went into the World Music Institute and just started looking at music it seemed like everything I came home with happened to be from the continent of Africa. So, I just started listening and researching and going through music that people had given to me or shared with me, and some of the music I’d brought back years ago when I took a trip to South Africa. That was my focus point, finding very beautiful, simple folk like melodies to record, paying homage to them and respecting them while giving them a modern take. G1: Some of the songs you explore are traditional folk songs, some other types… What lead to the specific pieces that you chose? 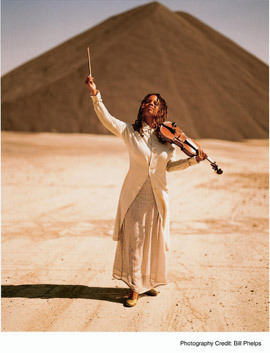 Regina Carter: A lot of times if a piece strikes me immediately then I spend time with it, then I have to see if it’s going to work on violin with me playing it because everything doesn’t translate for the instrument or the way I would play it. They were all pieces that just immediately struck me. I found them to be beautiful. Also researching where the pieces came from, I found that to be really interesting. I learned a lot of history, like a couple of the pieces are from the Ugandan Jews and I didn’t even know there were Jews from Uganda, so reading up on that was very interesting and intriguing, and I want to explore that even more. The music was just so beautiful. One of the pieces, I think it was Mwana Talitambula (The Child Will Never Walk), is a field recording of a woman singing alone this melody and it was just really captivating so I wanted to try and capture what I heard when I heard her sing. N’Teri was another piece, when I first heard it I wasn’t familiar with Habib Koite; he has one of the most beautiful voices that I’ve ever heard. Actually, after I recorded the piece I had the opportunity to meet and sit in with him when he was in New York. G1: Wow! What was that experience like for you? Regina Carter: Oh My God! I was so nervous I couldn’t believe it. 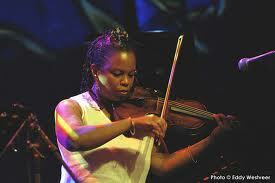 G1: Wait a minute… Regina Carter, world-renowned violinist, MacArthur Fellow, you still get nervous? Regina Carter: Oh, are you kidding? I’m probably nervous 90 per cent of the time. Yeah, it was just a different world. I’d never met him. He had a killing band. I was on such a high for such a long time. The first time we met was when I showed up at his sound check and played the tune N’Teri with him. So, this music, the music that I’ve chosen and this project has lead me on a journey of meeting some people that maybe I wouldn’t have met before, and experiencing some music that I hadn’t heard, and meeting some other people that have been really helping me with the project or finding out about the project, and it’s something I want to continue. I’m getting a lot of help and a lot of support with it. I feel like I’m moving in the right direction and it’s just been a lot of fun for all of us. G1: When recording music like this, the music of Africa and music of other lands you’ve explored, how do you keep its authentic integrity while giving it your Jazz treatment? 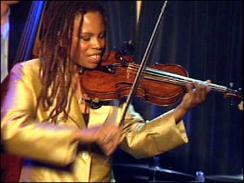 Regina Carter: Well, try not to stray from the melody so much. Probably with any tune that I approach that’s not mine, even an American classical piece, I try not to stray too much from the melody. The treatment, the more contemporary treatment, it can’t help but be that because it’s coming from my experiences… someone living now in the present, and playing the instrument that I play, and growing up where I grew up, so as long as I’m respectful of the tune and trying to really respect the melody and not stray too far away from it… It’s gonna lose some of its authenticity in the sound because of what I’m bringing to it, my experiences. G1: It sounds like also when you’re doing research for the particular songs and music that there’s also a bit of history, not just music history but also cultural history, that goes along with this research. 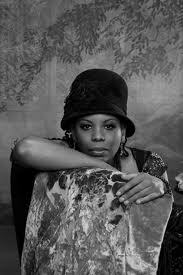 Regina Carter: Right, you can’t help but learn. When I’m choosing a tune and seeing where the piece comes from and reading about the people that it comes from, or where the rhythms came from, where the melodies came from… there’s one piece on the record that was written by Papo Vasquez, Un Aguinaldo Pa Regina, which is,… Un Aguinaldo is from the mountains of Puerto Rico but the slaves that were in Puerto Rico used to escape to the mountains and so you have the mixture of the rhythms of the slaves and some melodies and chord structures of the Indians there. That was important for me to see; you just see how when people start mixing or they come in contact with each other what effect the music, or whatever we bring, what effect it has and what music gets created from that mixture. G1: One thing you mentioned that I find interesting is that you funded this project yourself. Tell me about that end of the music business. It’s one thing to be with a major label and receive the type of support that label can give you, but moving from a major to independent status, what is that like for you? What kind of support comes along with that? Regina Carter: First of all I’m very grateful that I was signed for many years to a couple of different major labels (Atlantic Jazz; Verve Music) because, of course, they had the funding in order to promote records and get them out there to sell. Now I’m leasing the record so it’s out on E1 Entertainment and I’m very happy that it’s with that label. Chuck Mitchell is there and he’s really excited about music and this project. He’s kind of a “hands off” type of person which I need right now. I knew what I wanted with this project, it’s very… every musician, when you make a project that’s your baby, and you know what you want, so I’m still very fortunate that he’s very much into supporting the record and getting it out here, getting radio interviews and getting publicity for the record so people know it’s out here. With the computer, you know with Facebook and Myspace, Twitter, now people that don’t have the support of a major label or maybe don’t have the financial resources, there’s ways to still get your music out here and advertise it, and network with other musicians from way across the country and even have some of those people guest on your record. It’s provided ways for individuals to get their music heard and get it out here without having to depend on a major label. G1: So musically, are you pretty active on the computer? Do you visit the social and networking sites and find out what people are responding to or if people are listening to Regina Carter? 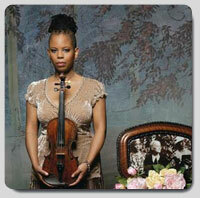 Regina Carter: I came kicking and screaming. I didn’t grow up with a computer, so it was just very… I’m on there, I’m on Facebook. I’m relatively new to it; I have help with it. I feel like I spend so much time already on the computer and if you don’t watch it your whole day will get by you. I get on there maybe once a week and check things out, and see what’s going on but I can’t get on there every day. I find it’s very helpful. I’ve heard some music or have seen some videos that I may not have otherwise seen, and met some people or heard some people… I think it’s a great tool to have and to really use. G1: There have been quite a few recordings that explore the connection between music of Mali and music from the United States, but usually those recordings explore the very evident Blues connection. For you, what were some of the things that you found easily adaptable to Jazz and some of the things you had to work harder with? G1: Another thing I find really interesting is that a few years ago (2006) you were awarded the MacArthur Fellowship, which is also called the genius grant. So, how does it feel being a genius? Regina Carter: That’s for sure… Anytime you get a gift like that it’s right on time, for anyone. It represented such a huge light in my life because the year before that I’d just buried my mother and gone through a huge lawsuit, so that was perfect. It was the sun coming out in my world. It gave me a chance to explore some ideas I had. I went back to school and took a course in the intro to music therapy. I’m still interested in music therapy and helping patients who are terminally ill and children who have learning disabilities. And it gave me a chance to continue working on a suite I had started writing called Black Bottom which is about an area in Detroit that used to exist where my mother grew up in the ‘20’s, and some other musical projects as well, especially recording this project REVERSE THREAD. I also get to continue doing some more research for the next project. G1: Wow. So the award has afforded you time to do a lot of things. Regina Carter: Exactly, exactly. It relieves some of the stress of having to be out on the road or trying to work and take every single gig. I took some time off and just really thought about some ideas, and had a chance to see them through. It’s been great. The whole music therapy class was extremely interesting, it opened my eyes to the possibilities in using music… I love performing for people, but I want to use it in a way that helps heal people. Just seeing how it can help people, when you see it in action it’s pretty amazing. G1: It’s really interesting you say that because when I was listening to the music of REVERSE THREAD I was thinking that in this country we look at music primarily as a source of entertainment, but in other lands music is used for numerous other things and some of the music in REVERSE THREAD is included in those multiple uses, so hearing you talk about the healing qualities and healing aspects of music is really important. Regina Carter: It is, it really is. Doing the research I see how in pre-literate cultures music was used either for healing or, there were different parts of the body you’d use specific tones for or different music… seeing patients now, when I would go in for clinics and just observing… music strikes everyone in a different way, so we all have to figure out what works best for us. Where Mozart might work great for one patient the next person might need to listen to Led Zepplin. Just because a music is calming for one it might make someone else hyper. It’s really powerful, but like you said, we take it for granted as just a form of entertainment but it has so many other purposes… And entertainment is great I’m glad to say we need that too. G1: You know Regina, before you Jazz violin was Jean-Luc Ponty, Stephane Grappelli, Noel Pointer, or Ray Nance, but still not many violinists out in the forefront… what is it that lead you to where you are with your instrument? Regina Carter: Well in high school my best friend, who is a great Jazz vocalist (Carla Cooke) would talk about Eddie Jefferson all the time, and Miles Davis and Sarah Vaughn, I didn’t know who any of these people were because I grew up playing strictly European classical music. She (Carla) brought me recordings of Noel Pointer, Jean-Luc Ponty and Stephane Grappelli, and that was my first introduction to Jazz and to Jazz violin. Those recordings really turned my world around. When we were 16 she got us tickets to see Stephane Grappelli live. I think it was really the live concert, being that close to him and seeing how much fun he was having… I wanted to have that; I wanted to feel that way and make an audience feel that way when I performed and I felt like there was so much freedom in the music. That was a turning point in my musical life. What’s interesting is when I went to college at New England Conservatory of Music, during my audition process I told them that I also wanted to play Jazz and some of them looked at me like I had three heads. They didn’t really know what to do with me. I joined a Jazz band there but I realized I really wanted to come back home to Detroit, Michigan because there was a huge Jazz community there and they just accepted me with open arms. I studied with trumpeter Marcus Belgrave, pianist Kenny Cox, organist Lionel Woodard, Donald Walden had a Jazz orchestra, so there were so many people to study and play with. Barry Harris would come in and come back home and give his classes at the studio. So, all of that really helped me to grow and flower as a musician and then move to New York. I didn’t care when people said “there’s no such thing” or “you won’t make it”… I feel like it was something that chose me and I had to do it; my passion was extremely strong. I just came to New York and figured I’d just call people, I didn’t care if they were Jazz musicians. I played in a Black rock coalition for a while, I took gigs with string quartets, some Jazz string quartets, some that were more avant garde, just whoever would call for a gig. I played music, I just wanted to play music and be a part of the music scene in New York. Regina Carter: That was a fun group. For me that group really stretched me musically. We were playing pieces by Muhal Richard Abrams, Richard Davis… sometimes I’d get some of these pieces and I’d see music written in a way I’d never seen. I’d be like, “what does this mean”. There was a lot of math involved, or altered techniques, putting a paperclip behind the bridge, just some stuff I’d never seen before that really stretched my way of thinking, my way of playing… all of those experiences, I feel, helped my playing and helped me become who I am as a player; helped my voice develop into what it is. G1: You’ve been involved in music for quite a large period of your life, what has music meant for you, not just as a musician but also in other aspects of your life? Regina Carter: It’s been my lifesaver actually. It’s the only thing I know. I started playing music when I was 2. It’s the one thing I know, it’s the one thing I can rely on in my life. It’s my entire life. It’s so extremely important. For young kids now, it’s really dangerous that everyone doesn’t have a chance to experience music. It doesn’t matter if someone wants to become a musician or not, but to at least have exposure to it and be able to check it out, it’s so incredibly important. It helps in other parts of our lives. I’m horrible at math, but when I can relate it to music it helps me do better. It helped me to pay attention more; it helps with listening because you really have to be a keen listener. I know how to use music if I’m upset or angry… I’m very blessed that I had music and I had parents that thought it was important. Enjoyed Regina Carter’s talents when she played with STRAIGHT AHEAD and the group performed at the Carter Baron in Washington DC. It was FANTASTIC! Glad to see she’s still jazzing it up with the violin!